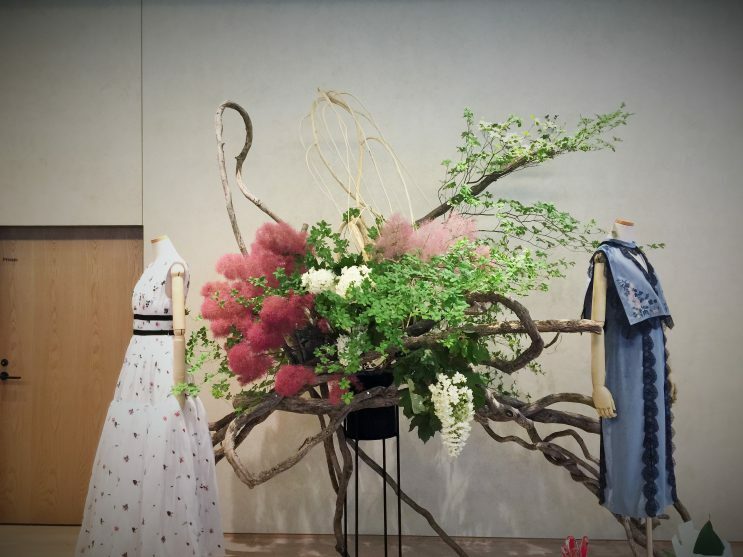 I did the Ikebana decoration of a venue where a fashion brand was showing a new collection and simultaneously Ikebana experience fot the press guests. 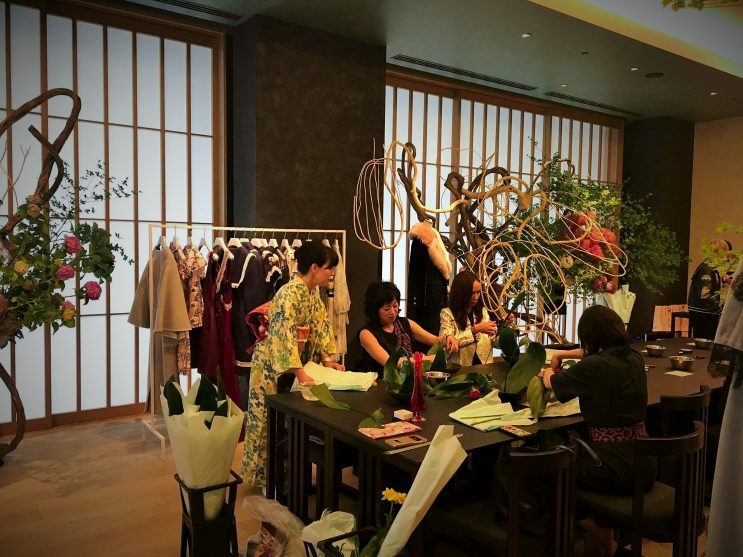 The fashion brand is DISAYA, a Thai prestigious brand. Recently that brand becomes focus of the attention especially after a famous Hollywood star, Anne Hathaway, liked to wear that’s dress on red carpet. 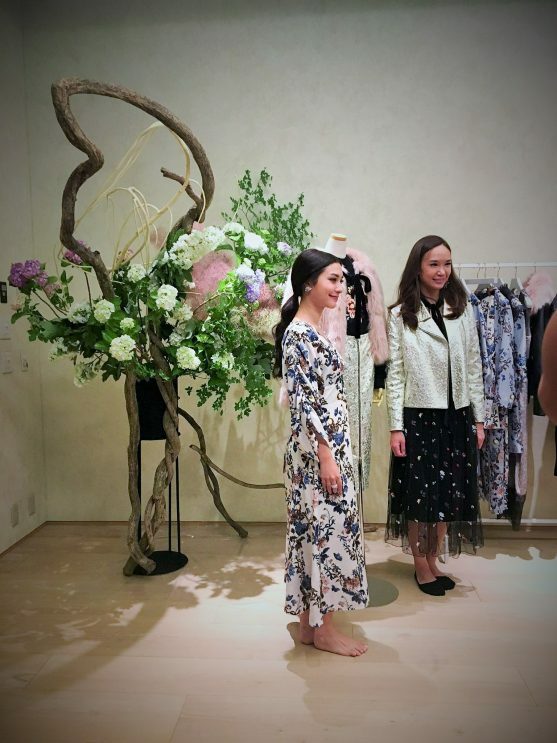 They showed a new autumn and winter collection in Tokyo. DISAYA is characterized in their feminine and delicate design. The brand of DISAYA is designed by a beautiful Thai lady, Disaya. Her name is the name of the brand. She always takes a lot of flower design in her dress. 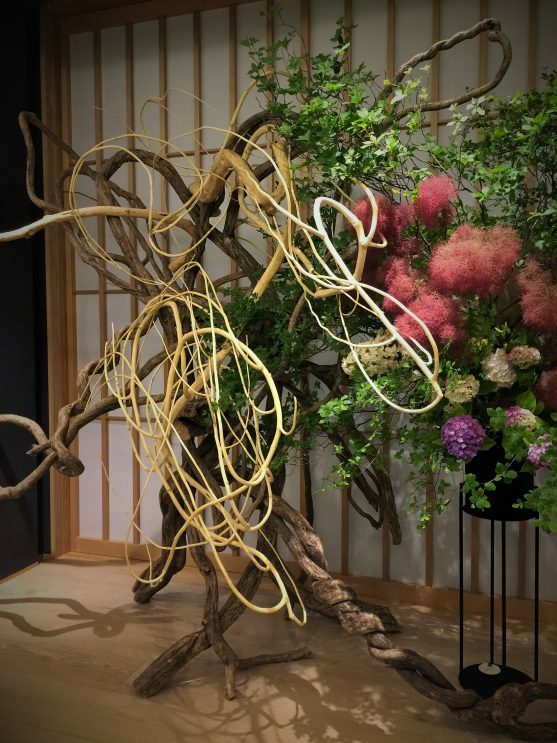 I saw her fabulous line and got a lot of creativity to think about my Ikebana decoration. 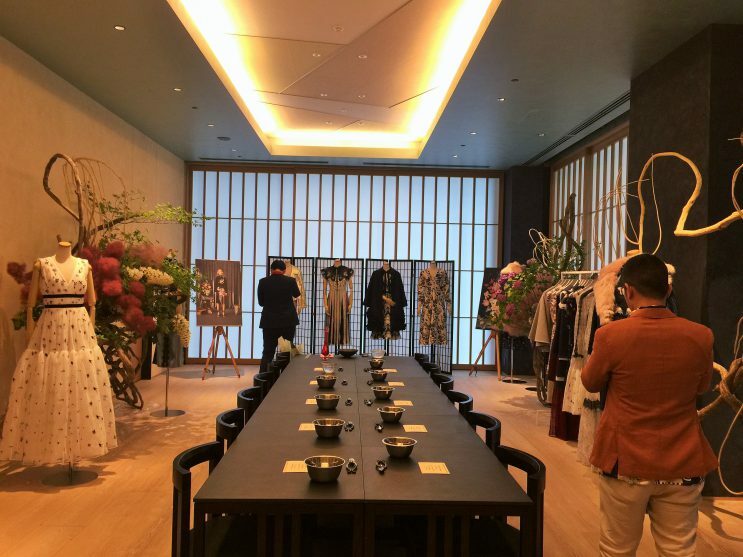 The venue is HOSHINOYA TOKYO. That is placed in the center of Tokyo, but they cherish Japanese traditional hospitality and authentic beauty. 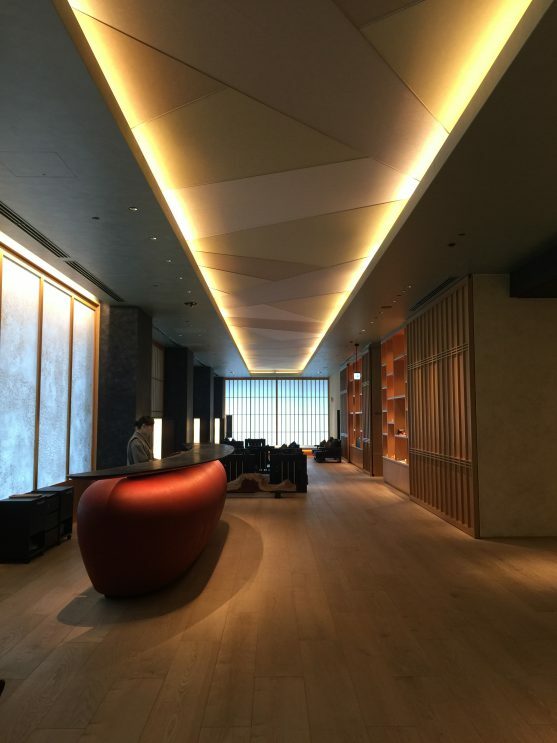 Guests take off their shoes at its entrance and go up to their room with feeling the sense of Tatami and woody floor. Even inside of elevator, we can touch Tatami with barefoot. The time to create is just 2 hours! Hurry up me! 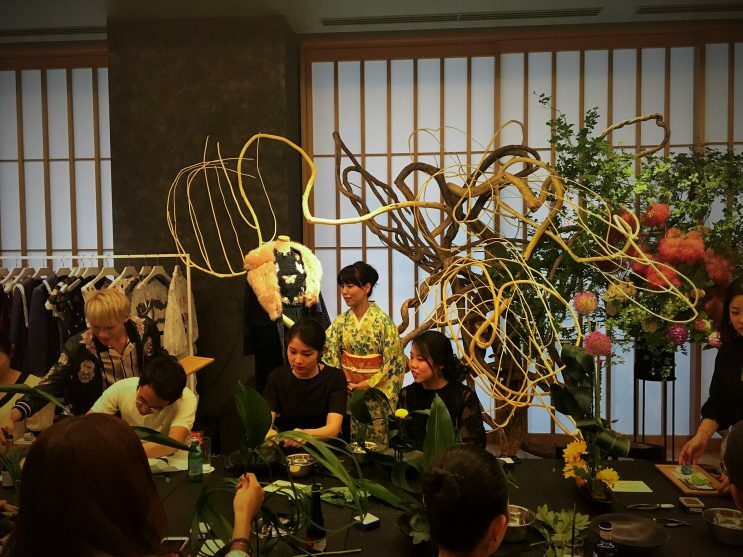 I designed a bold and sensitive Ikebana structure as I thought her fashion design had fragility, but in spite of that strength in a deep point. 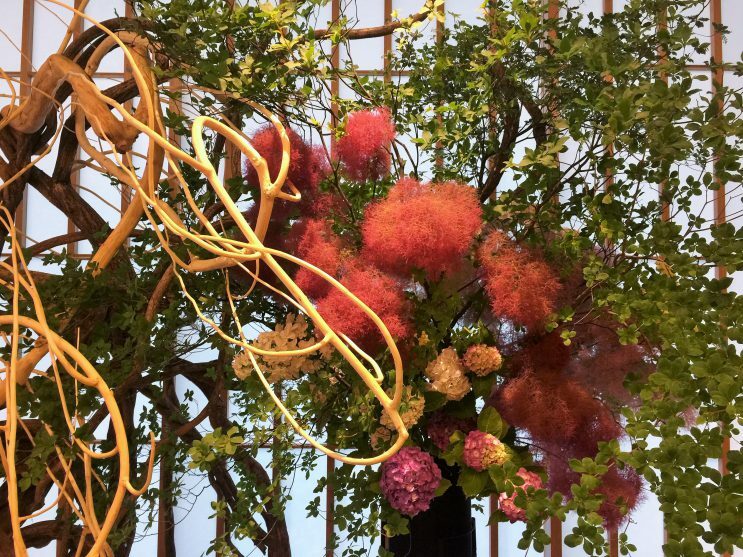 I prepared Wisteria Vines, Dried Mulberry, Mountain Azalea, Hydrangea, and Smoke tree. 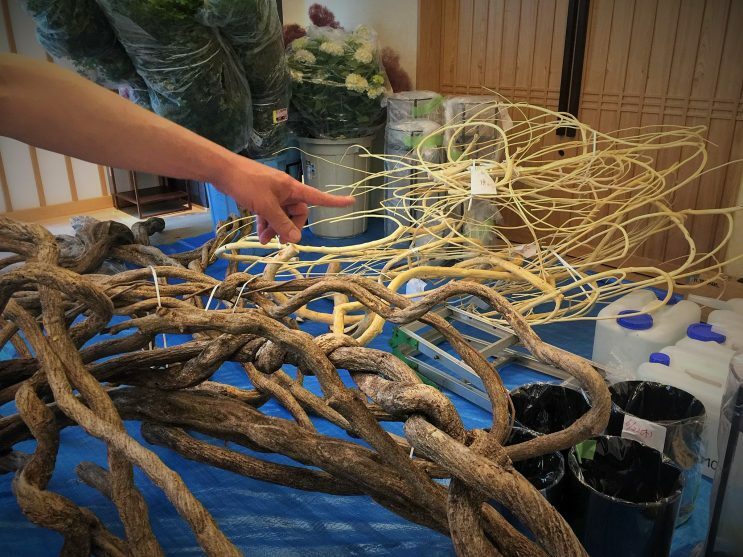 Firstly I make bony framework with Wisteria Vines and Dried Mulberry. I decide the shape and check it from a little bit far point and fix them with a electronic screw driver. 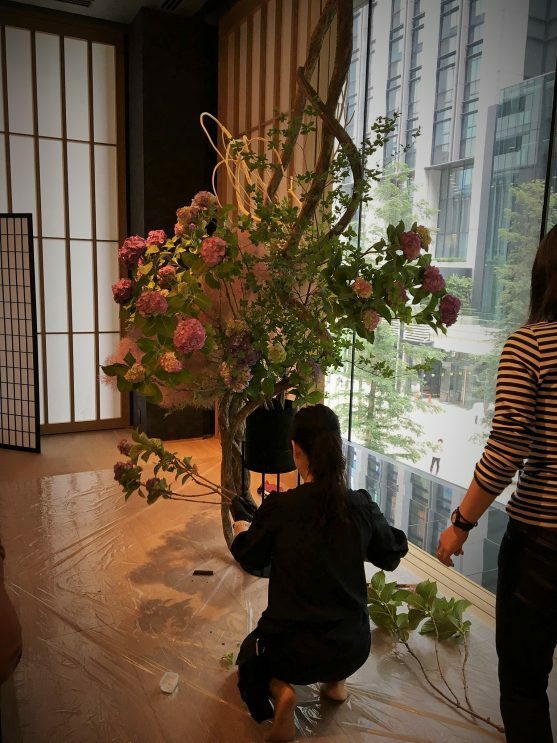 People who see making process of Ikebana for the first time are sometimes surprised especially with the sound of screw driver. It looks like the work of carpenter. 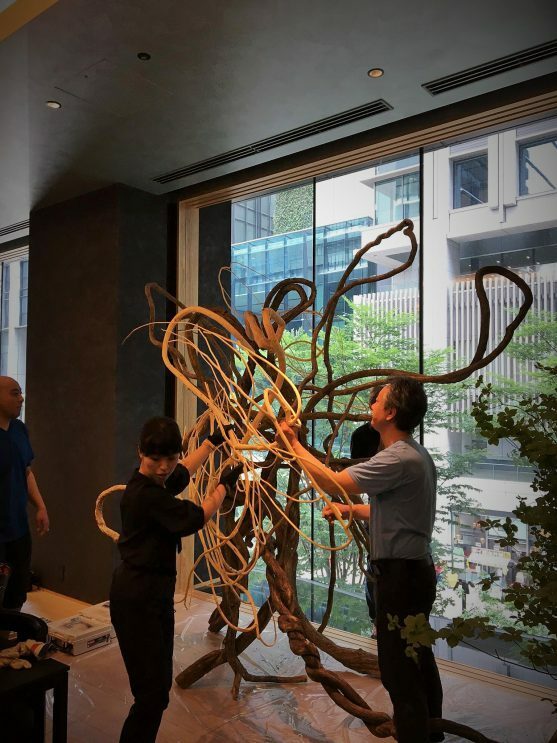 After finishing frame work, I arrange flowers and branches with checking all balance. I made 4 big structures.The biggest one is this. Left lady is a designer herself, Disaya. I selected Hydrangea because it is a representative flower of Japanese rainy season. We have 4 seasons and we feel and enjoy each season with seasonal flowers. 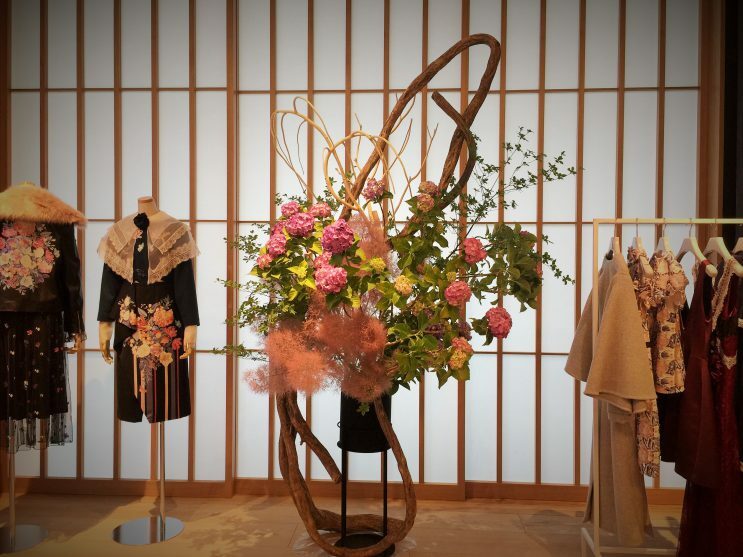 On this event many guests will come from Thailand, so I want to show the Japanese seasonal flower to them. 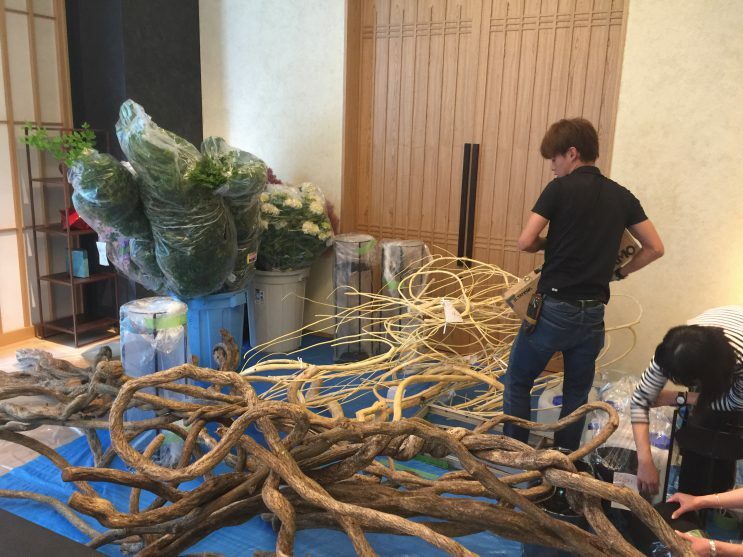 The venue was prepared like this. 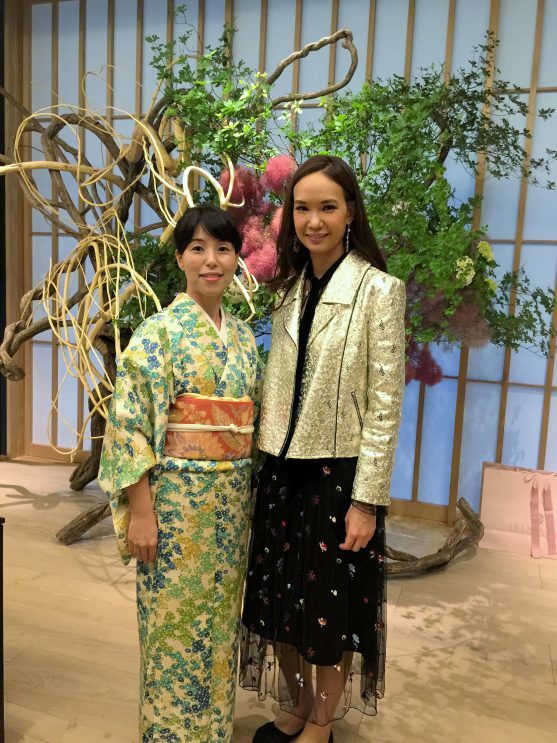 I changed my outfit quickly from sporty clothes to Kimono dress to welcome guests. 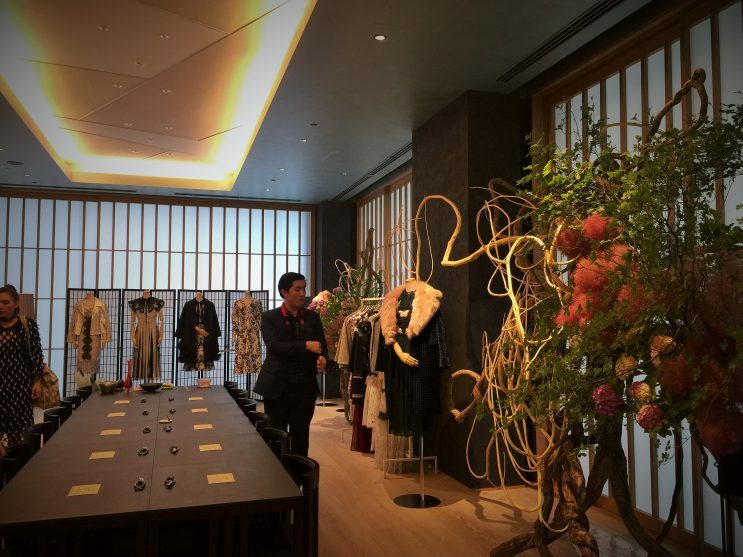 Next is Ikebana experience for press guests. 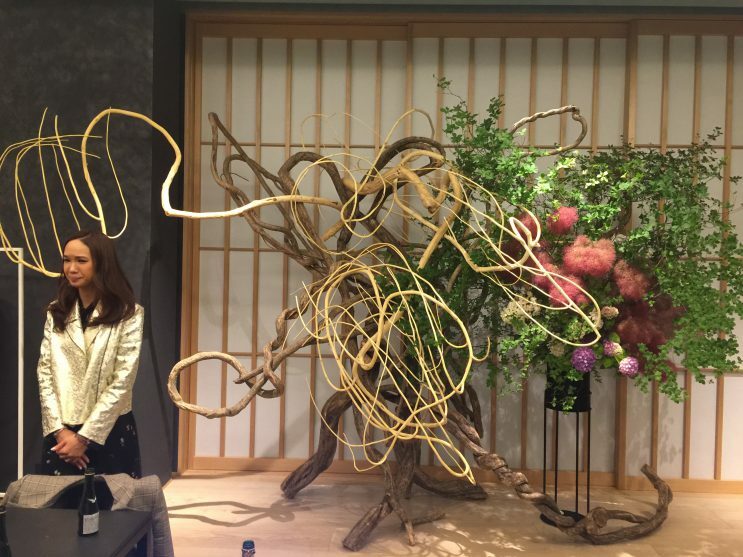 I did Ikebana experience 5 times. 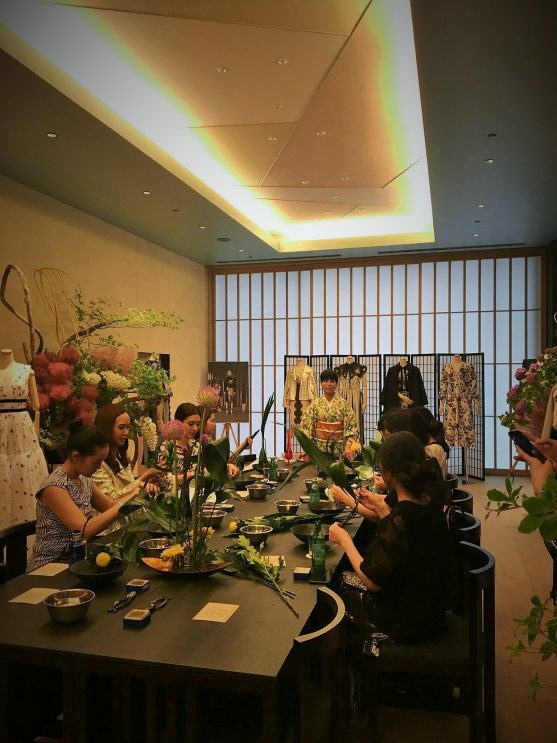 Frankly speaking, I was worried about whether press guests could be happy with Ikebana experience, but all the guests were excited about this surprising session. I felt released to hear they said, “Wow” ” So fun!” ” Excited!”. An famous actress was coming from Thailand and this is her instagram. You can see my Ikebana session a little bit with movie. 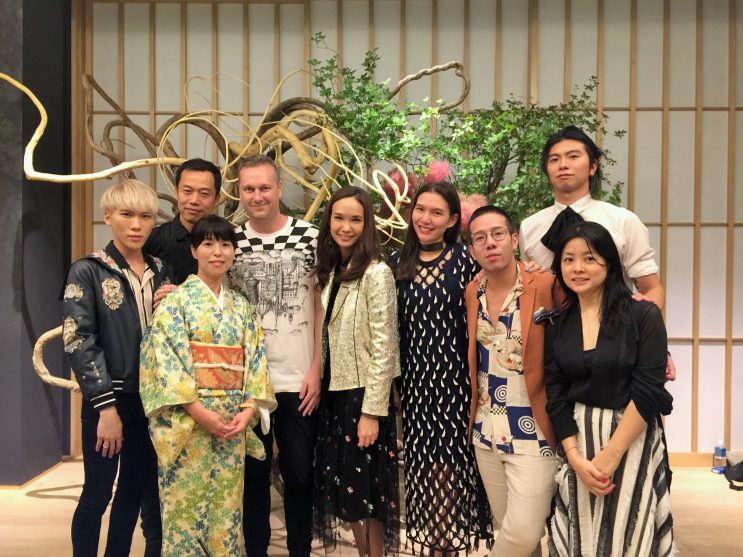 This is Thai Vogue instagram. 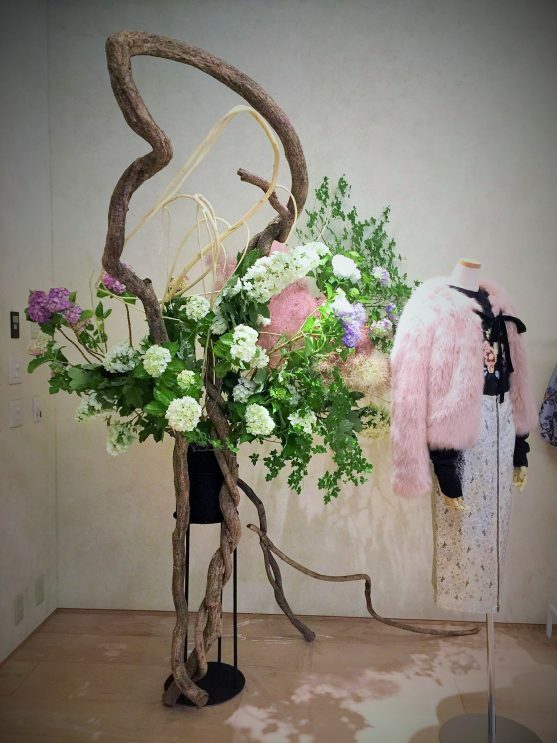 This is 25ns instagram, a prestigious fashion magazine in Japan. This is Disaya’s instagram. 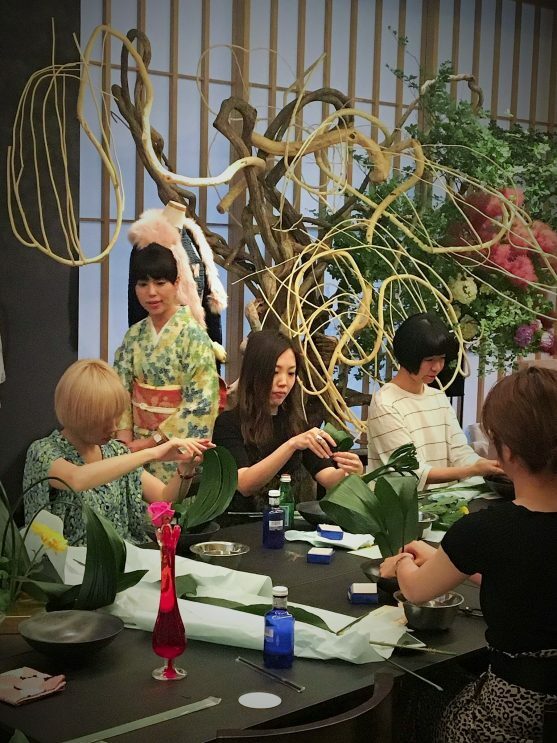 She did Ikebana session 4 times with guests! Disaya and a beautiful actress, Mew. With Disaya. With press guests from Thailand. With all staffs. 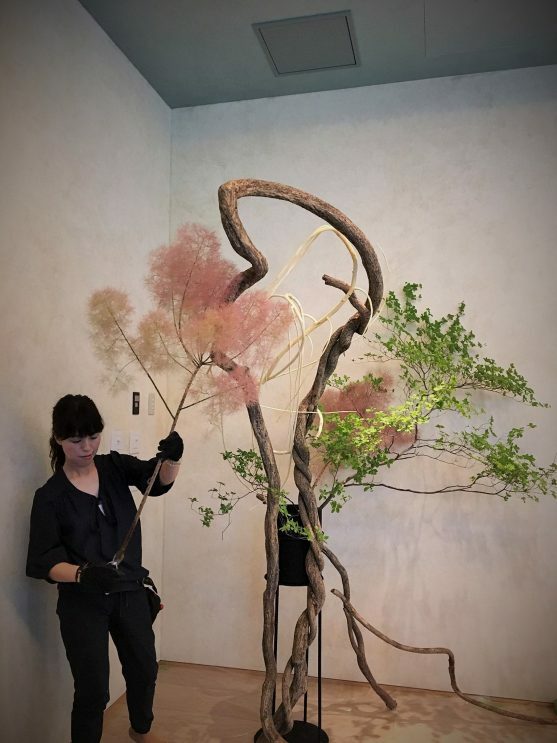 I believe the possibility of Ikebana. I’d like to try new things and new world as much as I can!